OK, this is not for the calorie conscious … but it is seriously good! 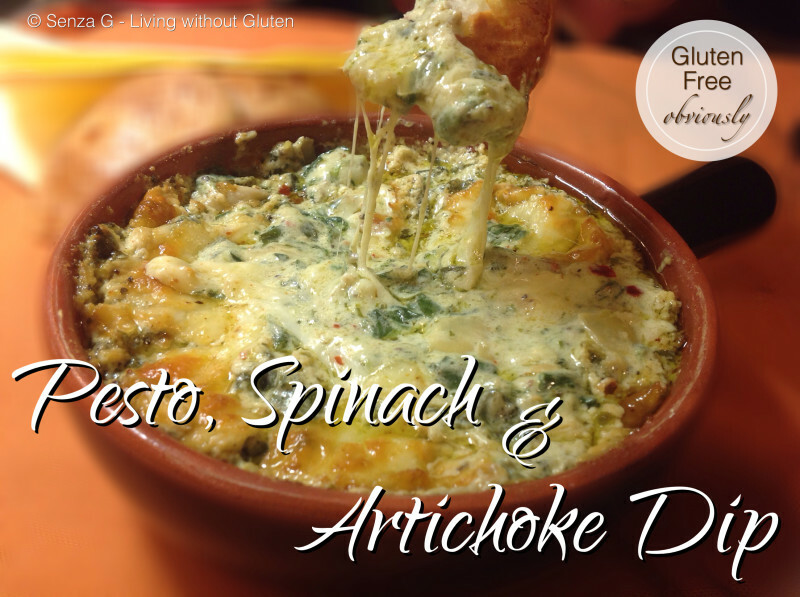 A twist on the usual Spinach & Artichoke Dip by adding some basil pesto to the mix. Gives it such deep flavor! Lightly grease an oven proof ceramic dish. In a separate bowl, mix together cream cheese, the pesto, mayonnaise, Parmesan cheese, Romano cheese, minced garlic, basil, salt, pepper and chilli if using. Gently stir in artichoke hearts and the chopped spinach. Transfer the mixture to the prepared baking dish. Top with mozzarella cubes or shredded mozzarella. Bake in the preheated oven 25 minutes, until bubbly and lightly browned.